Reaching Higher Iowa is committed to advocating for a more effective Iowa K-12 public education system to provide opportunities for every child and foster long-term economic growth in the state. John joined his family’s insurance firm in 1957 as one of three employees. Cottingham & Butler has since grown to more than 700 employees with clients in every state in the union. He remains active in C&B as Executive Chair, focused on strategic planning and other initiatives. John has been honored with the Junior Achievement Business Hall of Fame Lifetime Achievement Award. He is on the Executive Committee of the University of Dubuque as well as the Noble Charter Schools in Chicago. He has served as a Director and Executive Committee member of Assurex Global as well as the Council of Insurance Agents & Brokers. He has served as Chair of the Iowa Association of Business and Industry. He is a graduate of Babson College and has an MBA from Wharton at the University of Pennsylvania. Kelli began her career in 1990 as an Associate attorney with the Stanley, Lande & Hunter law firm. Nine years later, she left the firm to open two small businesses with her husband. Originally operating out of the couple’s basement, Victory Enterprises and VictoryStore.com now occupy a renovated Davenport elementary school, and employ 80 people. She currently manages the financial and legal aspects of the companies, and oversees the production divisions of VictoryStore.com. In addition to her duties as a small business owner and TV host of Mediacom’s Newsleaders, Kelli serves as Chair of the Quad Cities Chamber of Commerce, as well as on the board of Northwest Bank & Trust Co., The Putnam Museum & Science Center, Quad City Arts, The Scott County Y and Iowa Public Television. Kelli has served on the Davenport Levee Improvement Commission, the RiverVision Steering Committee, the RiverVision Bi-State Coordinating Committee, Quad Cities Chamber Board (and its predecessor DavenportOne), West Little League Board (player agent and coach), and Davenport Legacy Foundation. She has successfully coached local junior high and high school Mock Trial teams to State appearances for the past 11 years..
She and her husband, Steve, reside in Davenport and have four children. Mark Jacobs founded Reaching Higher Iowa to improve public education in restore Iowa’s position of leadership. Mark is a native Iowan and a product of Iowa public schools, having graduated from Roosevelt High School in Des Moines. Prior to founding Reaching Higher Iowa, Mark had a successful business career. 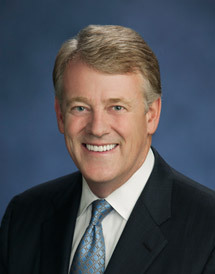 Mark served as President and CEO of Reliant Energy. Originally joining Reliant as CFO in 2002 when it was near bankruptcy and under state and federal investigations, Mark was part of a team that managed a turnaround that saved the company. In 2007, at the age of 45, he was named CEO, one of the youngest at the helm of a Fortune 500 company. Earlier in his career, Mark spent 13 years working for Goldman Sachs in New York and Houston advising companies and business owners on high-level strategic and financial matters. Mark has a long track record of leadership in civic and social issues, especially public education. He served as Board Chair for KIPP Houston Public Schools, a high-performing charter school network serving over 9,500 economically disadvantaged students and one of the great success stories in education reform. 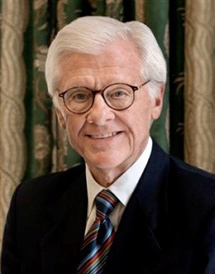 He holds a undergraduate business degree from Southern Methodist University and a Master of Management, with distinction, from Northwestern University. 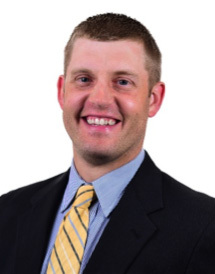 Chris Deal is Director of the Des Moines Office for MODUS (Consulting Engineering). He co-founded EOS International, a non-profit promoting sustainable development through the application of appropriate technology in the developing world. After college, Chris served as a teacher through the Teach for America Corps, serving in Kansas City, Missouri School District. Chris earned a Bachelor of Science degree in Mechanical Engineering from Iowa State University in 2008. He was a recipient of a Rotary Ambassadorial Scholarship, allowing him to study in Uganda and complete his Master of Science degree in Renewable Energy from Makerere University in 2009. Chris also earned a Master of Education degree from Rockhurst University in 2011. Chris resides in Jefferson, Iowa. During his free time, Chris enjoys farming and spending time with his family. 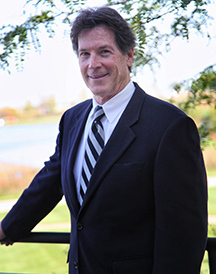 Stan Herkelman is the President of GreatAmerica Financial Services Corporation. He previously served in different roles, including as the SVP Operations and the CFO. Prior to joining GreatAmerica in 1998, Stan practiced law, representing primarily institutional lenders in commercial asset-based lending transactions, workouts and bankruptcies. He earned his J.D. from Yale Law School and his B.B.A. from the University of Iowa (emphasis in accounting). He passed the bar exam in Iowa and Illinois and the uniform certified public accountant examination. Stan resides in Cedar Rapids, Iowa. 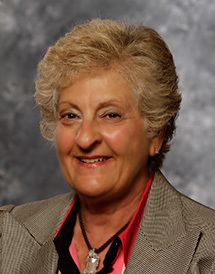 Anita Norian is President of Kemin Industries’ human nutrition and health division, providing high quality science-based ingredients with healthful benefits for the dietary supplement and functional foods and beverage markets globally. In August of 2011, Anita was promoted to Group President of Kemin venture business units, the company’s new and developing businesses. In addition to managing three venture businesses, Anita provided strategic oversight for all Kemin businesses as well as managed worldwide marketing, engineering and audit functions. 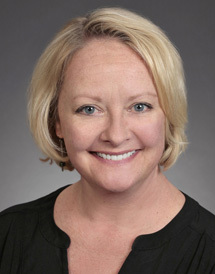 Prior to joining Kemin as worldwide Vice President in October 2010, Anita worked for Pioneer Hi-Bred in Des Moines, Iowa providing guidance for strategic business and marketing initiatives and established a competitive intelligence process that resulted in a significant refocus of Pioneer’s strategy. Before Pioneer, Anita coordinated business strategy, investor and stockholder relations for the ag and nutrition business at DuPont. A Certified Public Accountant, Anita started her career in public accounting with McGladrey and Pullen. Anita holds a Bachelor of Science in accounting and transportation and logistics and a Master of Business Administration. She lives in Des Moines, Iowa with her daughter. She serves on the Grand View College Board of Trustees and is a member of Young President’s Organization. Tiffany O’Donnell is the Chief Executive officer of Iowa Women Lead Change (IWLC), a statewide 501(c)(3) non-profit organization based in Cedar Rapids. 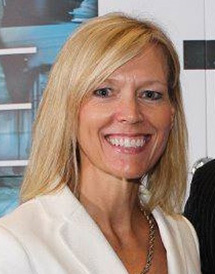 O’Donnell joined the organization in 2015, and was instrumental in expansion of the organization, including acquiring the Quad Cities Women’s Connection and Corridor Women Connect, the launch of the statewide EPIC public/private partnership, and the addition of new programming tracks at IWLC’s hallmark conferences, including a Men’s track, Young Leaders high school track, Executive Women’s track and Diversity and Inclusion track. She also led Lead Iowa, ILWC’s annual giving campaign. 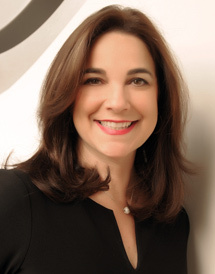 She succeeded Diane Ramsey as CEO in 2017. Prior to joining IWLC, Ms. O’Donnell spent 25 years as a reporter and anchor at stations across the state of Iowa, including WQAD, WHO-TV, and CBS2/Fox 28, where she served as an Emmy award-winning television lead anchor. A lifelong volunteer, O’Donnell was a charter member of the Board of Directors of NewBo City Market. She has also held board leadership positions at Revival Theater Company, the Iowa Children’s Museum, Kids First Law Center and the Alzheimer’s Association of East Central Iowa. In 2016, the Corridor Business Journal named O’Donnell a Woman of Influence. Raised in Bettendorf, Tiffany holds Bachelor of Arts degrees in Communications and French from DePauw University in Greencastle, Indiana. 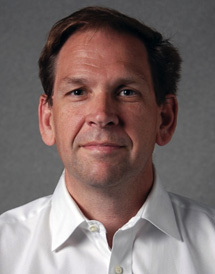 Tom is the visionary, founder and current Chairman of CBE Companies. He led the company through multiple expansions including the acquisition of several credit service companies and substantial employment growth since 1986. What began with only 25 employees has expanded to over 1500 today, working from 5 operational centers in the U.S. and 1 overseas in Manila, Philippines. He was a past Waterloo City Council Member for 8 years, and is a member of the Governors board of Iowa Partnership for Economic Progress consisting of CEOs from around the State of Iowa which gives the Governor advice on key initiatives to improve Iowa. He is a past Chairman of the Greater Cedar Valley Alliance and Chamber and has been instrumental in also founding the Leader Valley Council an education and business partnership formed to enable K-12 education in the Cedar Valley to go from good to great and deliver better job candidates. Charese Yanney is managing partner of Guarantee Roofing, Siding and Insulation Co. of Sioux City. She has worked for the company since 1976 and previously taught in Sioux City schools. She is a member of the Iowa Transportation Commission and the Vision Iowa board of directors and has served on a range of local and and state boards and commissions. Yanney was inducted into the Iowa Women's Hall of Fame in 2010 and the Iowa Business Hall of Fame in 2015.